Signature heat preventive maintenance on two Rheem split systems. Elite heat preventive maintenance on a Carrier split system and humidifier startup and pad replacement. Signature heat preventive maintenance on a Rheem split system. Signature heat preventive maintenance on two Carrier split systems. Elite heat preventive maintenance on a Coleman package unit. Signature AC preventive maintenance on two Rheem split systems. Signature AC preventive maintenance on a Trane split system. Air conditioning and heating may not seem like that big of a priority for most of the year… until you need them to stay comfortable in your own home. It’s a good idea to make sure that you have proper climate control solutions for your needs in place well before the weather gets too hot or too cold. If you need help getting your home’s climate control situation in shape, call Desert Suns Heating & Cooling Inc.. We install and service a wide range of air conditioning and heating systems throughout Corrales, NM. No matter what your climate control needs are, we can take care of them for you. Air conditioning is an important part of staying comfortable during the warm New Mexico summers. That’s why we employ the best air conditioning technicians in the area, to make sure that you have an air conditioner you can count on when the weather starts to warm up! No matter what your air conditioning needs are, we can make sure that your home stays cool and comfortable during the summer season. Whether you need a new air conditioner installed, or a current one repaired, it’s a good idea to make sure that you have a professional technician you trust to take care of it for you. We employ the best HVAC technicians in the area, each with many years of professional experience. If you need AC installation or AC repair services in Corrales or the surrounding area, let us take care of them for you. It’s never a good idea to go into the winter season without a heating system that’s up to the task of keeping your home warm. Before the weather gets too cold, it’s a good idea to make sure that you have a heating system to meet your individual needs. Take advantage of our full range of heating services to make sure that your home is properly heated. Our heating services include heating installation, maintenance, repair, and replacement. We also offer ductless heating services. How often do you think about the quality of the air in your home? If you’re like most homeowners, probably not very much. The thing is, poor indoor air quality is both common and extremely detrimental to homeowners’ health and comfort. We offer comprehensive indoor air quality services, including air purifier and air filtration installation, so that you can rest assured that your air quality is as high as possible. Contact us today for an appointment. Whether you have a tank or tankless water heater in your home, it is in your best interests to make sure that it stays in top shape. That means finding the best professional contractor you can to take care of it for you. 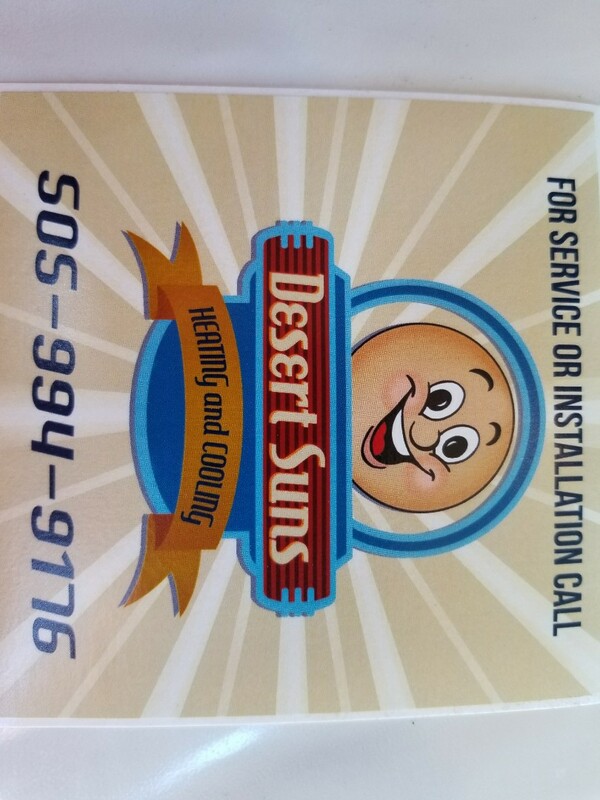 Desert Suns Heating & Cooling Inc. offers comprehensive installation, repair, maintenance, and replacement services for water heaters of all kinds in Corrales, NM. Contact us today for an appointment. Maintaining proper climate control is not a need limited to residential homes. If you are operating a commercial building, you should make sure that you have proper climate control solutions in place to keep that building comfortable throughout the year. We provide a full range of commercial HVAC services, including commercial air conditioner and commercial heater installation. Honest company and honest work. These guys did it right after another company tried to pull a fast one. This service was for fall close down of a/c Technician was very pleasant and did a great job with the cleaning and winterizing a.c. He was polite, thorough, on time, and overall a pleasure to have around.